Pete Burak speaks at a Millennial Church Conference. This letter originally appeared in the November 2018 Renewal Ministries’ newsletter. Earlier this year, Peter Herbeck and I had the wonderful opportunity to speak at the Steubenville Power and Purpose Conference. 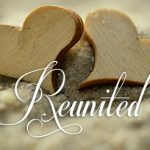 This was extra special for me, since I graduated from Franciscan University in 2010, and the campus holds many life-changing memories for me, including meeting, courting, and falling in love with my wife, Cait. The whole weekend, I found myself continually praising God and thanking Him for the late Fr. Mike Scanlan and all the other faithful men and women who have worked to make Franciscan what it is today (including Sr. Ann, Ralph, and Peter and Debbie Herbeck). While I thoroughly enjoyed giving my Saturday morning keynote, called A New Vision: Seeing What God is Doing, and interacting with the team and the conference participants, I’d like to highlight a prophetic word the Lord gave me during the Friday evening prayer time. The Lord placed on my heart Ezekiel 37:1-14. In this passage, Ezekiel is brought to a valley filled with dry bones and commanded to prophesy over the bones that they may have new life: “Prophesy to these bones and say to them, O dry bones, hear the word of the Lord. Thus says the Lord God to these bones: Behold, I will cause breath to enter you, and you shall live. And I will lay sinews upon you, and cover you with skin, and put breath in you, and you shall live; and you shall know that I am the Lord” (Ez 37:5-6; emphasis mine). In a particular way, I believe this passage speaks to the sobering reality presented by my generation and the one following. As a whole, we have radically disengaged from the Church and therefore are coming to resemble more and more the valley of dry bones seen in Ezekiel. God, who is the source of light, truth, goodness, and life, is being rejected, and we need people of faith to stand up and proclaim with clarity and conviction, the “Word of the Lord.” We need disciples who can hear the voice of God and speak out over this generation and prophesy that the Lord desires new sinews, new skin, new breath, and therefore new life! What would our Church, country, and families look like if we who believe proclaimed with prophetic boldness the Good News of Jesus Christ? Ezekiel tells us, “So I prophesied as he commanded me, and the breath came into them, and they lived, and stood upon their feet, an exceedingly great host.” May this verse penetrate our minds, break our hearts, and provide a spiritual springboard to wade into this generation with new energy, knowing the Lord desires deep communion with them, and we can and must participate in His saving work! i.d.9:16 is one of the ways Renewal Ministries is responding to the prophetic call from Ezekiel. We exist to form young adults into intentional disciples of Jesus Christ. This mission has primarily been accomplished through parish partnerships we call chapters, where we provide a vision, training, content, and ongoing resources. Over the past several months, our team has trained three more chapters and have two more scheduled! We value this expansion because of the increased ability to proclaim the lordship of Christ over this generation and help raise missionary disciples who can engage their peers. Another method of responding to the challenge from Ezekiel is a new initiative from both Renewal Ministries and i.d.9:16, called the Millennial Church Conference (MCC). The MCC seeks to train parishes on how to empower young adults by examining the characteristics and trends of Millennials, analyzing what they are saying to the Church and how the Church is responding, and diving deeper into the importance of evangelization and discipleship for this generation. Overall, I hope this letter provides a glimpse of hope for the future of our Church and younger generations. While we may be walking through a valley of dry bones, we are convinced the Lord is inviting ALL of us to prophetically speak new life over our friends, children, and grandchildren. May we respond like Ezekiel, with humble obedience, and may we see the dead come alive in Christ, through His Spirit, in the heart of the Church! Renewal Ministries and i.d.9:16 remain committed and passionate about helping the current young adult generation, or Millennials, become intentional disciples of Jesus Christ. 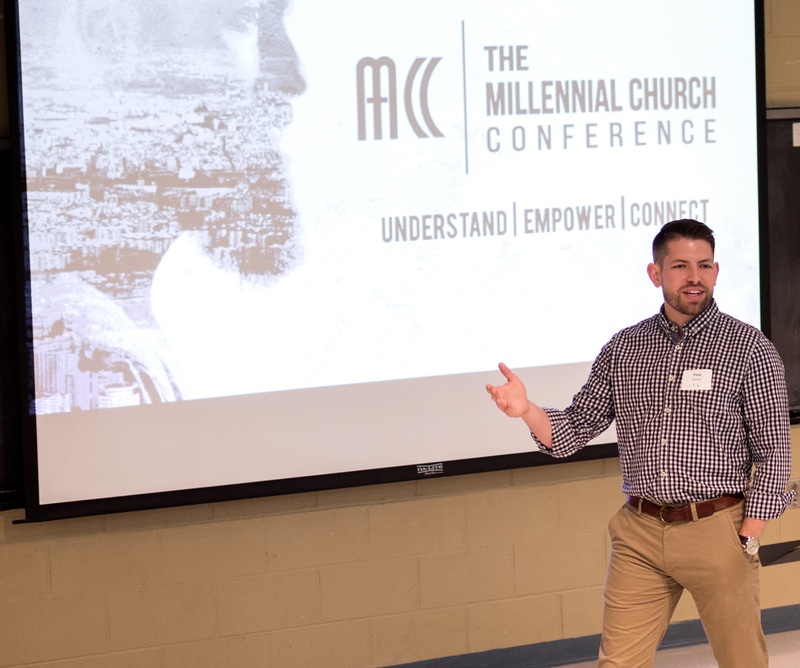 In an effort to expand our efforts, we’ve partnered with Sarah Kaczmarek (Catholic Alpha) and Pete and Emily Burds (Archdiocese of Milwaukee) to create the Millennial Church Conference (MCC). This new initiative seeks to help parishes empower young adults by examining the characteristics and trends of Millennials, analyzing what they are saying to the Church and how the Church is responding, and diving deeper into the importance of evangelization and discipleship for this generation. Additionally, the MCC provides practical strategies for how parishes can take both little and big steps toward making their communities reach both the young adults in the pews as well as those who aren’t attending Mass. 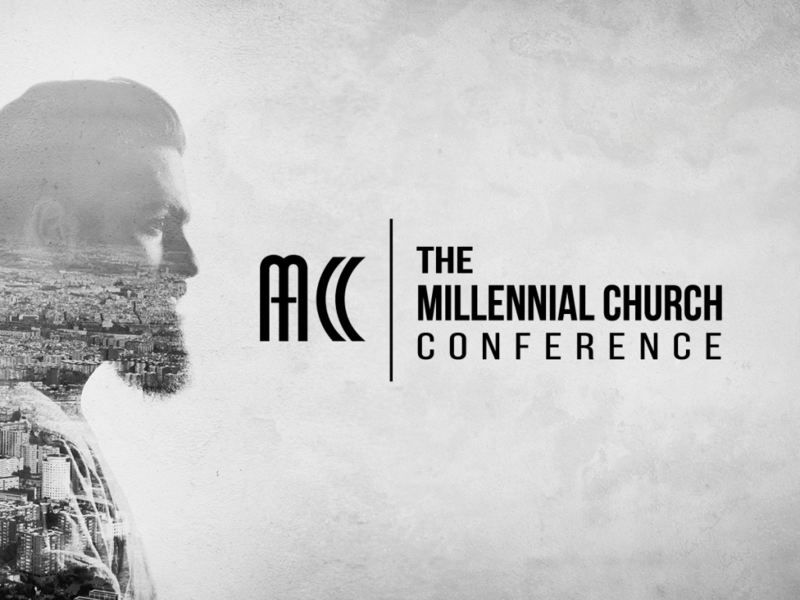 To signup for the next MCC, to bring the MCC to your diocese, or for more information about the Millennial Church Conference, go to www.millennialchurchconference.com. We look forward to hearing from you! The following is an excerpt from Game Changer by Pete Burak, director of i.d.9:16, Renewal Ministries’ young adult outreach. Talk about a provocative and challenging statement from the vicar of Christ! Blessed Paul VI clearly insists that the faithful rely on the action of the Holy Spirit because evangelization is pointless and fruitless without the Spirit. Pentecost launched the first evangelization, and Pentecost must continue to fuel our efforts. The vital role of the Spirit can be difficult to believe, since most of His work happens in disguise. The power of the Holy Spirit, while certainly containing the power to affect outward appearance (like the tongues of fire), primarily transforms the hidden recesses of our hearts. The external preaching, teaching, loving, sharing, and caring that we see in successful evangelizers all come from an unseen but indispensible working of the Holy Spirit. 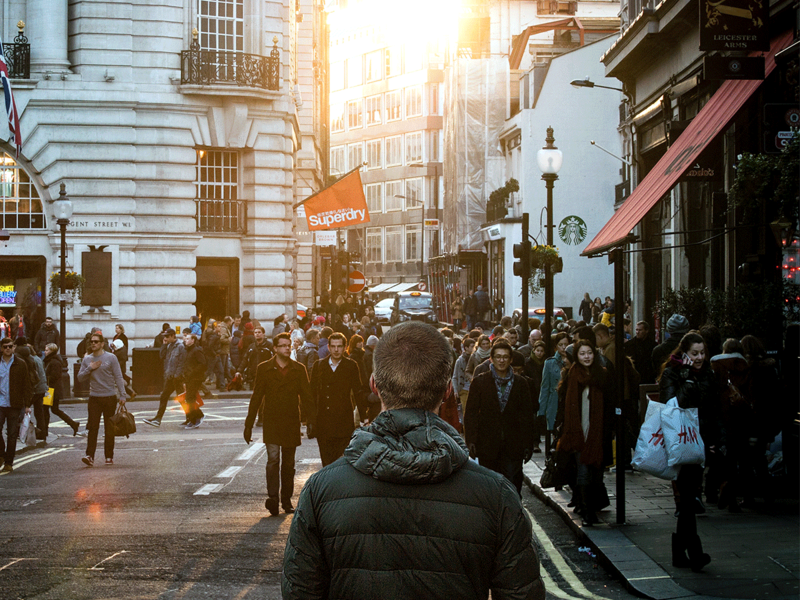 When we see other people evangelizing and doing great things, we often say to ourselves, “I could never do that,” and we’re right! We can’t do these extraordinary external works without first internally accepting and growing in the power of the Holy Spirit. What we don’t always realize is that every time we witness someone successfully evangelizing, the Holy Spirit is guiding them. Many evangelization programs, trainings, and books remind us of our duty to evangelize and the incredible need of our personal witness to the Gospel. They share best practices and tips for knowing what to say and how and when to say it. However, none of this ultimately matters if we don’t open ourselves up to the grace and power of the Holy Spirit and allow Him to guide and empower our evangelization efforts. Blessed Paul VI uses the word “possessed,” and that can create confusion or apprehension. Most of us see possession as something out of The Exorcist, yet completely giving of ourselves to Christ, and allowing the Spirit to consume us, are marks of true Christian discipleship. Unlike demonic possession, in which you lose control of your faculties, being owned by the Spirit enhances our nature and allows us true freedom. In other words, the Holy Spirit stacks the deck. The Holy Spirit gifts followers of Christ with the supernatural wisdom, power, and grace they need to communicate the Good News. Additionally, the listener receives supernatural power to understand and accept what is being presented. Obviously, either party can resist or flat-out deny this grace, but the Spirit is still there, gently inviting both people to go deeper. Let’s look again at the scenario we imagined at the beginning of the booklet, regarding a discussion of sensitive topics during Thanksgiving dinner. In moments such as these, our first action should always be to ask the Holy Spirit for insight, wisdom, and the power to respond to His prompting. This humbles us so that we can hear what the Lord wants us to do. Then, no matter what happens, we can peacefully know we tried to be faithful to God’s will. He may prompt us to speak out boldly; He may whisper to us to wait, perhaps until after dinner; or He may prompt us to invite our relative out for that coffee so that we can speak with them individually and better understand their opinion. We can’t do it on our own, so we might as well give all of these options to Him and then submit to His authority. This reality should fill us with relief. While catechesis, apologetics, and evangelization training are important, when faced with the weighty task of representing Christ and the Church, we primarily need to rely on the Spirit. The Holy Spirit often is described as the Spirit of Truth, and in those moments, the truth, spoken in love, is precisely what is needed, even if it is eventually rejected. 3. Paul VI, Evangelii Nuntiandi, 75. 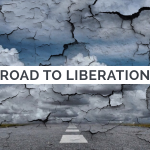 This article is taken from a presentation Pete Burak recently gave to the Cincinnati chapter of Legatus. Please contact him at pete@id916.com if you are interested in having him share this message with your group or organization. 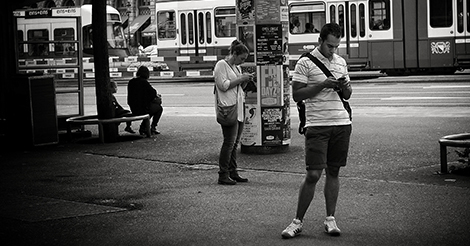 Much ink has been spilled analyzing, bemoaning, threatening, and critiquing the Millennial generation. With an age range of roughly eighteen to thirty-five, these young adults have emerged into the world of adulthood with unforeseen and unique challenges and opportunities. We’ve exploded on the work and cultural scene, and everyone—including the Catholic Church—is grappling with this new reality. We are selfish, materialistic, addicted to technology, lazy, questioning everything, allergic to commitment, entitled, subjective, over-stimulated, under-motivated, inclusive, cynical, and overly accepting. We are also more religiously detached than any generation in history. Less than ten percent of self-professed Millennial Catholics attend Mass on a weekly basis. Only forty percent think a relationship with God is possible, and only thirty-one percent of those people go to Mass regularly. We are the product of what Pope Benedict XVI called a “crisis of discipleship” in the Church today. We are Generation Maybe, Generation Me, Generation None. But the above description only tells half the story. While we certainly embody many of those characteristics, there are many layers to understanding the hearts of Millennials. We are passionate, caring, resourceful, energetic, and creative. We long for meaning, purpose, community, authentic leadership, friendship, truth, and ultimately, love. Many of the burdens and wounds visible in my generation stem from an inaccurate and insufficient understanding of love. If only we knew the answer to our desperate pursuit for happiness was Love with a capital L. If only we knew the hunger inside us could only be satisfied by a Person. If only we knew Jesus. Not only Jesus, but also His plans for our lives, His freedom, His peace, His Spirit, and the power of living in a community devoted to growing as His disciples. All of this was driven home for me the other day on my flight to Cincinnati. As I settled into my seat, I struck up a conversation with a young adult woman across the aisle. The initial pleasantries shifted to more serious topics later in the flight. I was on my way to Cincinnati for a talk on Millennials, so I felt like the Lord had orchestrated the perfect situation for some “market research.” The gentle question, “What do you think about Pope Francis?” led to “What is your source of truth?” Her initial surprise and confusion at the question changed to a very Millennial response; her source of truth is her parents, her friends, and her experience. While the solutions to these problems deserve more space than I have here, I’d like to offer four tips for engaging, loving, and supporting these crazy Millennials. 1. Pray, pray, pray, pray, pray, pray . . . Profound right? While basic in concept, intentional prayer cannot be underestimated or undervalued. Jesus repeatedly took time for prayer throughout the New Testament, and often His prayer centered on His disciples. (See Jn 17:6-26) Time with the Lord transforms our own hearts and allows us to love in a new and more powerful way. It’s an avenue to growth in holiness, which must happen so that we can shine more brightly in the darkening world. Additionally, God is a God of details, so we should boldly come before His throne with very specific requests for our Millennial children and grandchildren. Praying, “Please Lord bless my son,” is great, but “Lord, bring some solid Christian friends into Jimmy’s life and help him win favor with them,” could be even more effective. Nearly everyone likes to talk about themselves, and the person who does the majority of the talking in a conversation is usually the one who feels the most positive about the exchange. Jesus was the master of the pointed-but-genuine question. He asks 307 questions in the Gospels! In our conversations with Millennials, asking thoughtful and authentic questions lays the groundwork for respect and mutual appreciation. By asking questions, we show our care for the other person and a humble spirit seeking to understand. 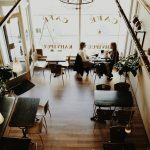 No matter how bizarre the answer, often our response should include another question: “Wow, I’ve never heard that before, could you explain what you mean?” This conversational strategy, potentially employed over multiple conversations, can lead to the tables being turned and to the young adult asking questions of you. “OK, I’ve talked too much—what do you think? That’s when you ask one final question: “Do you really want to know?” When they say yes, they’ve given you permission to speak your mind and lovingly present the truth. What a beautiful image for evangelizing young adults—reaching out to lovingly and openly expose yourself to their suffering. Instead of leprosy, we touch loneliness, sexual abuse, substance abuse, broken homes, depression, and much more. That’s what I mean by “dive in”—the action of leaning into the criticism and the scorn, because their souls are worth it. The Holy Spirit stacks the deck. He tells us when, what, and how to say something and readies the heart of the listener. Our job involves being open to the movement of the Spirit and embracing the grace-filled courage He provides to actually open our mouths and witness to the Truth. As St. Paul said, let’s pray constantly in the Spirit so we can be empowered, emboldened, and filled with the wisdom to reach Millennials and help bring them back into the life-giving relationship with Christ in His Church. It dawned on me the other day that Jesus was a young adult. Therefore, it’s likely that at the time of the apostles’ calling, they were in the age-range of today’s Millennials. We should learn from how Christ engaged his disciples and brought them back after they scattered. He prayed for them, asked them questions, invested deeply in them, and ultimately filled them with His Spirit. The challenge is great, but let’s go after these crazy Millennials and watch the Lord do something mighty. 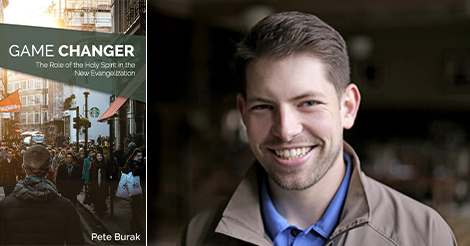 Want to hear more on evangelization from Pete Burak? Click here to purchase his new booklet, Game Changer: The Role of the Holy Spirit in the New Evangelization. 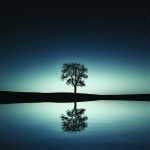 This article originally appeared in Renewal Ministries’ August 2016 newsletter. Click here to view the entire August newsletter! Renewal Ministries’ latest booklet, by i.d.9:16 Director Pete Burak. Renewal Ministries recently released Game Changer, a booklet by i.d.9:16 Director Pete Burak. Below, Pete reflects on the inspiration behind Game Changer, which examines how a close relationship with the Holy Spirit is the key to fruitful engagement in the New Evangelization. Over the last several years, many, many accomplished and respected Catholic leaders have promoted, educated, trained, and inspired people towards the New Evangelization. Reams of paper have been printed, gigabytes of information sent, and hours of talks recorded—all with the intention of helping people understand and embrace their call to “go make disciples of all nations.” Praise God for this movement of His Spirit! Praise God so many have answered His call! Praise God for all the INCREDIBLE resources available to those who long to grow! And yet, as I digested as many of these tools as possible, I noticed an unsettling trend: in New Evangelization-specific content, the role of the Holy Spirit is often understated, diminished, or not even mentioned. Just like all trends, this one doesn’t encompass or apply to everything, and there are excellent resources focused on helping people live in the power of the Spirit, but overall, I kept seeing an inadequate portrayal of the Holy Spirit’s indispensable role in evangelization. A restlessness developed in me as more New Evangelization “equipment” emerged without helping people connect to the necessary power source. We keep telling people, “You must evangelize,” and we tell them how to do it, but often we stop short of bringing them into direct contact with the same Spirit who launched the first apostles from the Upper Room. Pentecost follows the Great Commission, because Jesus wanted them to know their mission so they could immediately begin when the Holy Spirit came to fill them with holy power. Game Changer presents a fresh perspective on the role of the Holy Spirit in evangelization. It is a far from sufficient treatment of these huge topics, but I hope it helps fill a gap in the current New Evangelization conversation. Jesus said, “Nevertheless I tell you the truth: it is to your advantage that I go away, for if I do not go away, the Counselor will not come to you; but if I go, I will send him to you” (Jn 16:7). Get your copy of Game Changer at Renewal Ministries’ bookstore! 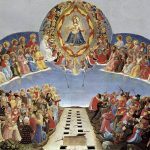 Are These Prophetic ‘End Times’?